What are the best mountain towns in the West? Immediately people think of iconic destinations like Aspen, Park City, Jackson, Vail, Hood River, Durango, or Taos. 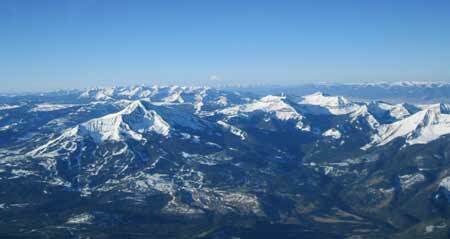 But if you want to escape the crowds and get outdoors, you need to visit Big Sky, Montana. Big Sky is located in SW Montana. Nestled into the heart of the Madison Range in the Greater Yellowstone Ecosystem, Big Sky is an outdoor lover's paradise. This up and coming mountain destination has hit the mainstream in the past few years. If Big Sky isn't on your radar yet, it will be soon. 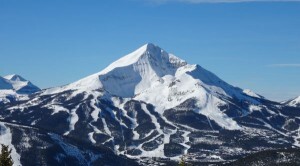 As a year-round mountain paradise, Big Sky will appeals everyone. It's a family friendly destination with mountain town charm, untouched beauty, and a bright future. Don't believe us? Come and see for yourself. Location - Big Sky is a bit off the beaten path. 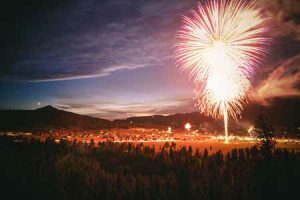 There are no major metropolitan areas very close, which means that Big Sky will always maintain its mountain town vibe. Located just a short drive from BZN airport and an even shorter driver to Yellowstone National Park, it's easy to get to Big Sky and once you're here there's a lifetime of things to do. Outdoor Activities - Skiing, biking, hiking, climbing, fishing, backpacking, horseback riding, zip lining, and the list goes on. If you love getting outside and playing in the great outdoors, you're going to fit right in. Many people come for the legendary big mountain skiing at Big Sky Resort, but others love Big Sky for the ability to escape the crowds and the chance to experience wild Montana. Montana's Public Lands - Approximately 30% of Montana is public land. A good chunk of that land is located near Big Sky. Numerous trailheads lead into the Madison Range and Gallatin Range of the Gallatin National Forest or into the Lee Metcalf Wilderness. Yellowstone National Park is located just down the road. As soon as you drive into Big Sky, you'll hear Mother Nature calling you to go outside and explore Big Sky's endless backyard. Laid Back Montana Vibe - One of the things that people immediately notice when they arrive in Big Sky is that people are nice and they smile a lot. People are genuinely excited to be in Big Sky and it creates a contagious atmosphere. Combine that with the laid back approach to mountain town life and you'll see why everyone enjoys spending time here. Now we could go on and on about wonderful things in Big Sky - free concerts, the Biggest Skiing in America, world class blue ribbon waters for fly fishing, lively apres scene, tasty craft beer, an abundance of wildlife, intimate arts and culture performances at WMPAC, authentic dude ranches, fine dining, superb shopping, etc. We could easily go on forever and this goes to show that Big Sky is the real deal. Every outdoor lover will agree that Big Sky is one of the best mountain towns in the west. In Big Sky, adventure is always right at your fingertips. Visit Big Sky this summer, fall, winter, or spring and see why this place gets two big thumbs up from both locals and visitors alike. Whether you work, live, or play in Big Sky, you're going to love this mountain town. Every day in Big Sky is a good day.